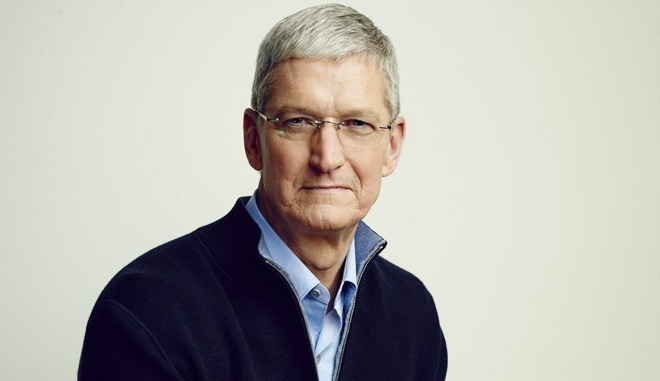 Apple CEO Tim Cook will appear in a one-on-one interview with HBO's Vice News on Tuesday, where he is set to discuss hot-button issues including data privacy and encryption. Announced in a tweet on Monday, Cook is set to take on a variety of hard-hitting questions from Vice correspondent Elle Reeve. While the clip provided fails to offer a broad overview of what will be discussed in the session, Reeve dedicates a portion of the interview to user privacy. In a clip appended to Monday's tweet, Reeve asks Cook if Apple's stance on privacy will negatively impact Siri. The presumption implies Siri is unable to compete with voice assistant technology from Amazon and Google because it lacks access to deep customer data. Cook offered a typical response, intimating that Siri's underlying technology can be advanced without leaning on information harvested from iPhone, iPad and Mac users. A second tweet on Tuesday includes a second clip, again focusing on customer protections, in which Reeve asks Cook to list examples when Apple chose customer privacy over profit. Again, Cook echoed past comments on the matter, noting Apple does not view the customer as a product. Cook's interview will air tonight at 7:30 p.m. Eastern on HBO.